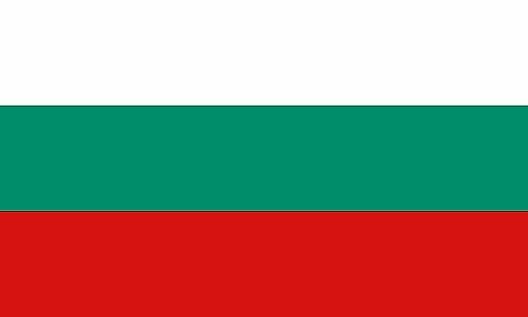 The flag of Bulgaria was officially adopted on November 22, 1990. The red and white colors of the flag were taken from the Pan Slavic colors. The green replaced the blue of the Russian Tricolor, and before 1990, the white stripe contained the Bulgarian coat of arms. 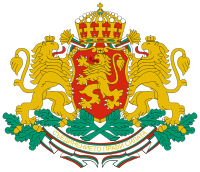 Bulgaria's coat of arms is composed of two golden lions supporting a red shield containing a third golden lion. Above the shield sits the historical crown of Bulgaria, and below, resting on oak twigs, is a ribbon depicting the national motto, "Unity renders power."